Today ONLY - Amazon is offering Up to 30% Off MuscleTech Products. 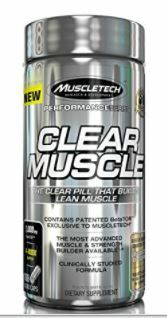 Super excited because the Hubby needed more MuscleTech Clear Muscle, Muscle, Strength Builder and Recovery, Amino Acid 168 Count which is $25.96 (Retail $37.08) and we normally pay that much for 81 count. Also click the extra $2 off coupon.